Alumacraft will continue to offer several engine options. 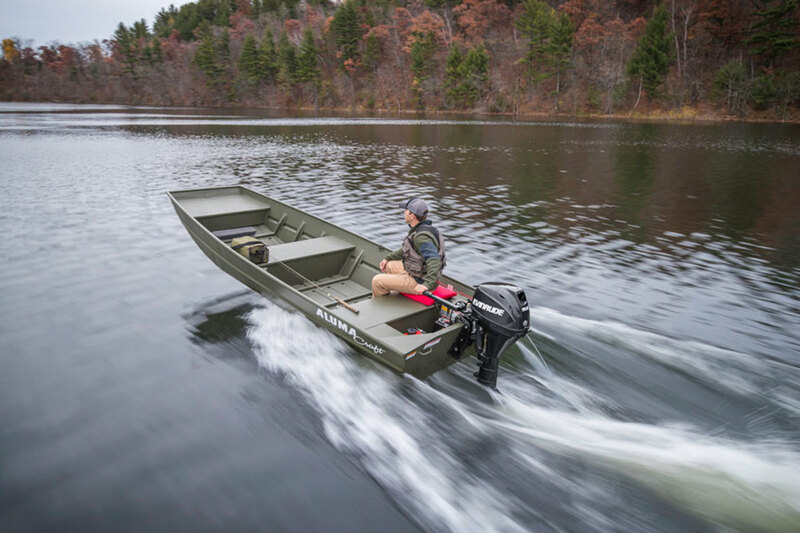 Alumacraft planned to offer engines from five manufacturers, as it has always done, following the company’s sale to BRP, the manufacturer of Evinrude outboards. “We had discussions from the very beginning that we were going to be business as usual and continue to work with all the engine manufacturers,” Alumacraft president James Irwin told Trade Only Today. However, Yamaha issued a statement last Friday saying it would no longer supply engines to the boatbuilder. Alumacraft, which builds about 10,000 boats a year, previously offered Evinrude, Honda, Mercury, Suzuki and Yamaha engines. Yamaha president Ben Speciale said it would continue to supply outboards to Alumacraft for 60 days to fulfill existing dealer orders. Yamaha Motor Corp. acknowledged that unprecedented demand has led to supply shortages, but Speciale believes the company can fill current orders. Speciale declined to comment on the terminated agreement. “We cannot speak about the details of our agreements with individual boatbuilders, as they are confidential, and both parties are bound by that confidentiality. BRP announced late last month that it was forming a Marine Group with the acquisition of Alumacraft. At the time, Tracy Crocker, president of BRP Marine Group and senior vice president/general manager of Evinrude, said Alumacraft would continue to offer outboards from all five manufacturers.